Is it shocking that less than 70 years after the end of the massacre of 6 million Jews in Europe, we’re seeing anti-Semitism rise yet again? If you’ve been following the news you’ve been reading multiple stories of violence and vandalism against Jews, synagogues, and kosher restaurants in Paris, France. 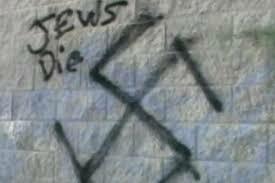 In Britain, more than 100 hate crimes against Jews reported this month, more than double the norm. Berlin’s anti-Israel protests have devolved into calls for the killing of Jews. Italy is a fantastic place to visit, but is not immune to the current wave of anti-Semitism. Are these places we should be planning vacations? Paris is known as the ‘City of Love’ … yet all I keep thinking is how hate filled their streets have become. It’s a city with dozens of amazing kosher restaurants and beautiful synagogues. All of which have been under attack by an uncontrollable anti-Semitic mob, making this (and other) parts of France unwelcome to Jews in the 21st century. Normally amazing places to visit: Amsterdam, Berlin, London, Vienna, etc. are rife with anti-Jew hatred. Your safety is not guaranteed. Any visits to Jewish institutions can be met with unexpected violence. It is with this understanding that I’m going out on a limb and recommending Jews to travel to Israel this year. The main source of anti-Semitism near Israel right now are currently being fought off by the brave IDF soldiers in and around Gaza. Explore Jerusalem, Tel Aviv, Haifa, the Golan, Galil, Negev, Eilat. Eat at whatever kosher restaurant your heart desires without fear of anti-Semitic attacks. Show your support and solidarity with your brothers and sisters facing a very challenging time in Israel’s history. That kosher restaurant tour you were planning to do in Paris, well, that’s not going to happen this year. Maybe not for a long time. But, I assure you, Israel has fantastic kosher restaurants that are worth your patronage, and they keep getting better. Comment below with your favorite kosher restaurants in Israel (name + city). We will do another post with a roundup of your favorite places to dine in Israel.